If Willy Wonka made ice cream instead of chocolate, it would look a lot like the concoctions ice cream innovator and craft-beer maven Stef Ferrari dreams up-twisted, curious, fun, and radically unique. With inspired flavors like Sage Chocolate Chip, Sriracha Popcorn, and Indian Pale Ale, Ferrari's theory is that almost everything can be turned into ice cream. She has taken the flavors of her favorite ales, cocktails, and meals, and used them to inspire new ice creams, as well as cakes, cookies, shakes, and more. This is not the dessert of your childhood. 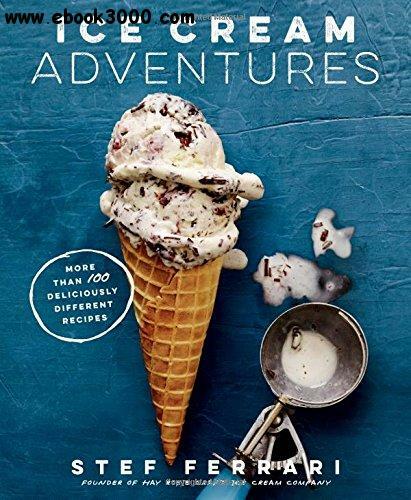 Featuring more than 70 recipes for ice cream, toppings, and other pairings, Ice Cream Adventures is the essential cookbook for ice cream lovers, adventurous home cooks, and foodies. Each recipe starts with an easy to make base, and Ferrari teaches you how to layer the flavors to create something deliciously different and totally unique.